Hand and wrist injuries account for millions of emergency room visits each year. Although the most frequent type of articular wrist injury involves the distal radius, there are many other fractures that require skillful intervention to obtain maximum, long-term function. This book focuses on those complex intra-articular wrist injuries that have not been extensively covered in the past, providing a complete picture of their clinical, radiographic and therapeutic features. It is essential for all specialists who are regularly confronted with these challenging injuries. 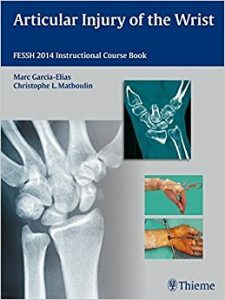 Packed with practical treatment guidelines, Articular Injury of the Wrist is invaluable for all hand surgeons as well as for orthopedic and plastic surgeons and fellows. It will quickly increase their knowledge of those difficult wrist injuries that have not been well documented previously, but are no less devastating in terms of early joint degeneration and dysfunction if not treated properly.